OUR AUTUMN 2016 BONUS PROGRAM IS STARTED! 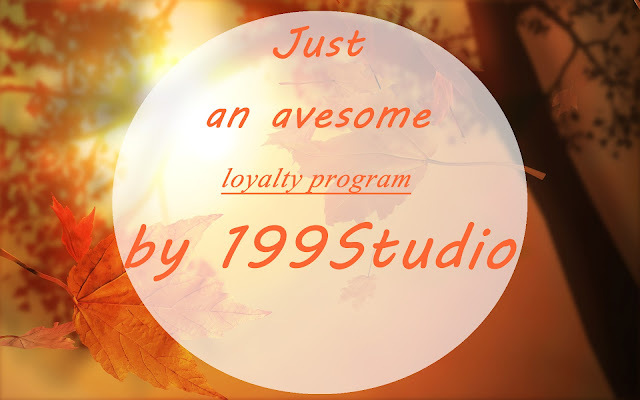 Every person who would rent the studio for at least 2 hours between 09/01 - 11/30 would automatically participate in our Autumn 2016 Bonus Program. 1. You rent the studio when you need it and for how long as you need. 2. After amount of rented hours reaching 5, you will start to receive 15% of bonus from every hour you rent studio. After total amount of rented hours would reach 15, you'll receive 20% bonus from the every hour you renting the studio. 3. Use the bonuses to cover up to 50% of expenses on bookings between 09/01 - 11/30/2016. How can I check amount of bonus collected? How can I spend bonus collected? When you making a booking, you could always ask our managers to add on top of your booked time certaign amount of bonus time, but not more than 50% of total time. You collected the 4H in bonuses and booking the studio for 3 hours. You could use up to 3H from collected amount to increace that time. Great news for all our existing clients: everyone who rented the studio for more than two hours since the 01/01/2016 are already applied to Autumn 2016 Bonus Program!